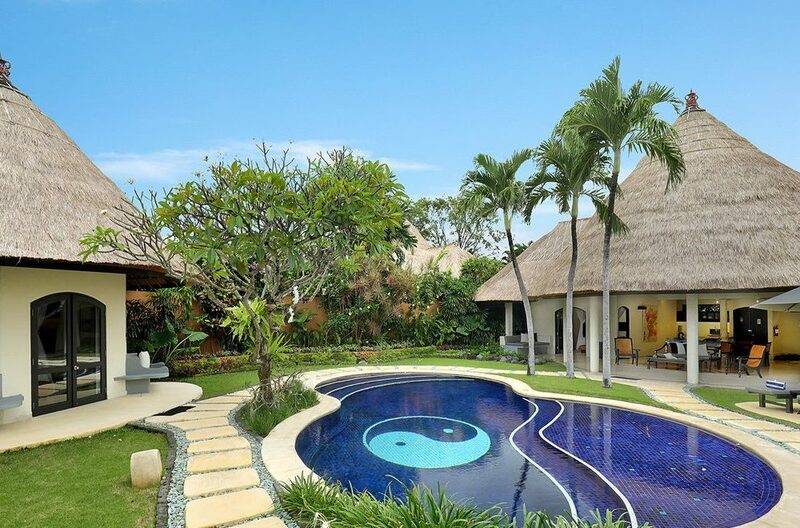 Villa Impiana 3 boasts of an expansive and gorgeous outdoor area. 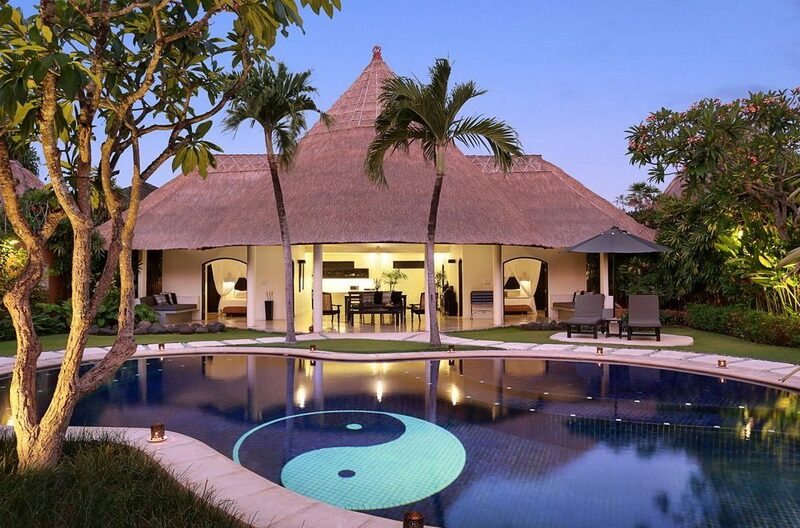 A stone path leads from the gates through the lush lawns and right to the spherical pool. Everywhere guests look, there are tall trees, shrubs, exotic flowers and tropical plants which fuse together to create a truly inviting space. On one side of the pool is a small sundeck where guests can relax on the lounge chairs while they soak up the warm rays of the sun. For families with kids, the expansive grounds are definitely perfect for kids to run around and have a good time. The living area of Villa Impiana 3 is in a spherical open air building with thatched roofing just beside the pool. It is simply but delicately furnished with sturdy wooden furniture, potted plants and beautiful pieces of art. The living room has several easy chairs where guests can sit and enjoy the unrestricted view of the garden and pool. There is also a small wooden coffee table, so guests can definitely enjoy drinks and cocktails right in the comfort of their living area. 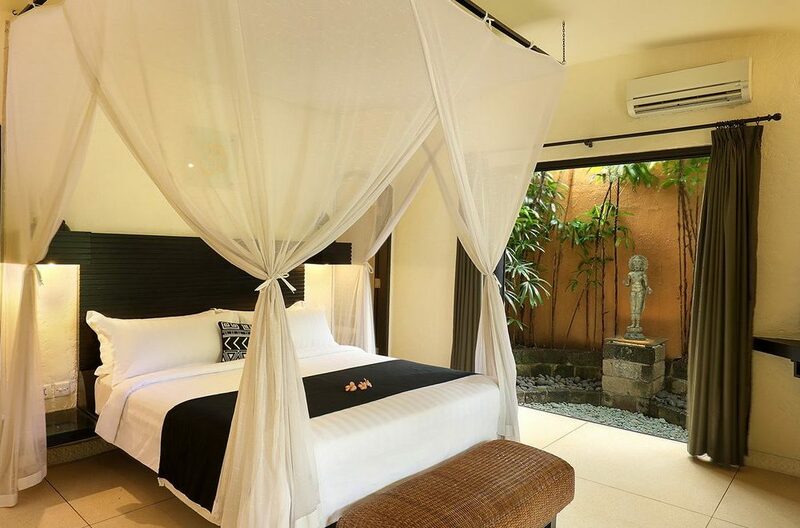 Villa Impiana 3 boasts of three stunning bedrooms which are luxuriously and tastefully furnished to the highest standard. Two bedrooms are located on either side of the living area while the third bedroom is located in a separate building away from the others. In each bedroom, there is a queen bed with lovely drapes, flat screen TV, ensuite bathroom and sliding glass doors that lead out to a small balcony with comfortable sofas. 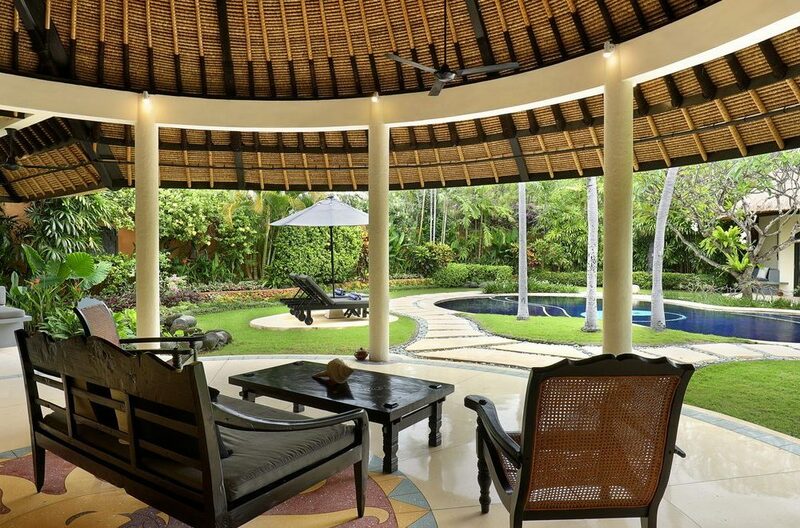 Seated here, guests can enjoy morning coffee while they drink in the beauty of the villa that surrounds them. At Villa Impiana 3, guests enjoy the dedicated services of daily housekeeping, pool and garden attendants, and a villa manager. They are on hand to ensure that guests have everything they need in order to enjoy their stay at the villa. Villa Impiana 3 is located just a stone throw from all the bustling areas of the island. 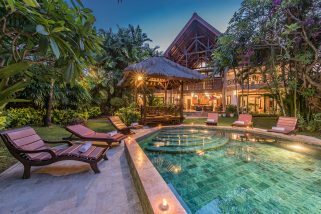 The villa is within proximity to the Double Six Beach where guests will find the Cocoon Beach Club and seafood restaurants. In the evenings, guests will definitely enjoy walking the shores and watching amazing sunsets. For food, restaurants such as Made’s Warung and Nalu Bowls are just a walk away from the villa. In the evening, you can head over to Bali Joe Bar for amazing cocktails. Staying at Villa Impiana 3 is a guarantee that your holiday is definitely one to remember. Outstanding value 5 bed family villa located in the heart of Seminyak. Don’t miss out! 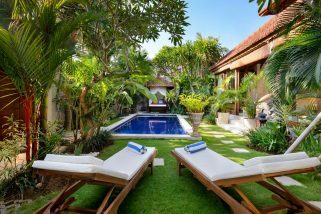 Villa EDEN is situated within an estate comprising 14 stunning modern-designed, state-of-the-art residences fashioned in pure white, appropriately situated next to a tree-lined river and lagoon just a short 50 m stroll from the Batu Belig beach, Seminyak.